Far too many people suffer from insomnia and anxiety, causing them to toss and turn and night and not get into full REM sleep. They wake up exhausted. As we age, getting restful and restorative sleep becomes an almost impossible problem. Without deep, restful sleep, the body cannot truly recover and heal from the stress of daily life. As a result, tranquilizers and sleeping pills have become some of the most over-prescribed medications on the market. Americans consume over a million and a half pounds of dangerous tranquilizers annually, mostly for psychological, stress-related reasons, not for physical problems. The problem is that they do not give the body the deep restorative sleep that rejuvenates the mind and body. Far from being simple medications to relieve sleeping problems, these drugs can have adverse affects on physical and mental health, and daily living. Over use or misuse can cause dizziness, memory loss, decreased mental function, confusion, loss of coordination, each of which can contribute to degenerative health or personal injury. When was the last time you had a really good night sleep? As an alternative to pharmaceutical drugs, many people take Melatonin to aid with sleep. Melatonin is a hormone made by the pineal gland which helps to control your sleep and wake cycles. A Melatonin deficiency can interfere with proper sleep. If you suspect that you have a Melatonin deficiency you should take a hard look at any medications you are taking. There are several common ones that could be lowering your Melatonin levels and interfering with your sleep. Anti-inflammatory compounds like aspirin and ibuprofen block Melatonin production. Beta blockers and calcium channel blockers used to treat high blood pressure also inhibit the formation of Melatonin. And ironically, sleep aids and drugs that treat anxiety problems also stop Melatonin formation. Many foods contain high amounts of Melatonin; bananas, barley, ginger, rice, and corn. Eating these foods regularly will lift your Melatonin levels. Although there are numerous benefits to taking Melatonin, it is not sufficient to solve the serious problem of chronic sleep deprivation. It does not relieve stress from our daily life or contribute to the overall well being of the mind and body. Stress is a natural response to internal and external conditions which elevates alertness and increases our immune system response. 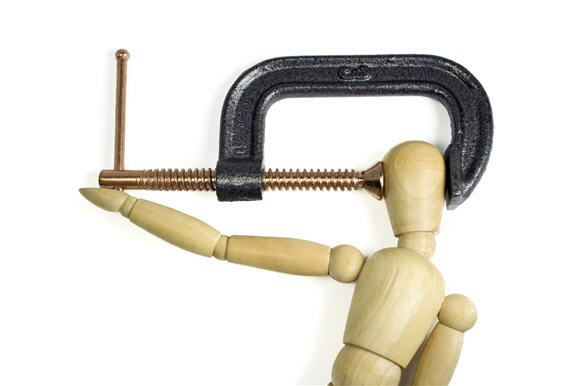 A little stress is good, but prolonged stress leads to fatigue, lack of sleep, irritability and long-term health issues. Cortisol is the body’s stress hormone which is secreted by the adrenal glands in high levels in response to stress. Small doses of cortisol are good – providing an energy burst and heightened awareness in response to our natural fight or flight response. 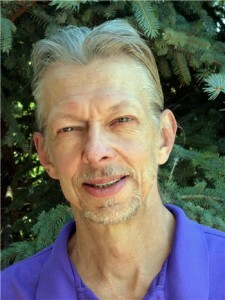 Prolonged, heightened levels of cortisol in our bloodstream have very negative effects – impairing mental performance, suppressing thyroid function, upsetting blood sugar balance, raising blood pressure, increases abdominal fat which causes a plethora of other issues, and lowering immunity and inflammatory response. After a stressful event, our body needs to relax and recover, allowing cortisol levels to drop and return to a normal state. Good Night is for deep, restorative sleep! Including a tour de force of all the sleep-inducing elements known to natural medicine (including Melatonin of course), Good Night assists you in relaxing and falling asleep at bedtime, while at the same time enhancing the deep, restorative REM sleep in the early morning hours. Suggested Usage: As a dietary supplement, take 3 capsules 30-60 minutes before bed with 8oz water. May reduce to 1 or 2 capsules if satisfied with results, or as advised by your healthcare practitioner. Exercise is the body’s original stress reducer! Go for a walk, or a run, ride your bike, do yoga, any activity that gets the blood pumping for a minimum of 30 minutes. Meditation is another great stress reliever. I like to take off my shoes and walk or stand in the grass, breathing deeply and just being still for awhile. Whatever works for you, take time each day and do it. Avoid the snooze button and sleeping late. These habits could be contributing to your insomnia problem. Refrain from eating for at least two hours before you go to bed. Avoid stimulating drinks with caffeine after 5 o’clock. They can prolong the time it takes to go to sleep. Alcohol is also disruptive to sleep patterns, as are less obvious sources of caffeine like chocolate, chocolate-flavored foods, soft drinks and salt, which can act as a mild stimulant to the adrenal glands. Check to see if your inability to sleep coincides with the use of a new medication. One of the biggest detriments to sleep is the widespread use of medications, both over-the-counter and prescription. Even seemingly harmless over-the-counter sinus and nasal congestion medications can be strong nervous system stimulants that can interfere with sleep. Hypoglycemia or low blood sugar can also be responsible for insomnia. Your brain uses glucose as its main source of energy. If glucose (blood sugar) levels fall below normal while you’re sleeping, your adrenal glands automatically release hormones that stimulate glucose production. This will wake you up in the middle of the night. If you fall asleep easily, but waken in the middle of the night and have difficulty returning to sleep, it could be an indication of falling blood sugar levels. Consuming a small amount of unsweetened juice or a teaspoon of peanut butter when you wake up at night will often stabilize the blood sugar enough to allow you to return to sleep. If anyone you know has serious insomnia condition, contact our Customer Support team to schedule a private consultation. God be with you at all times. STRESS – The Trillion Dollar Killer! Stress is the trigger of all major diseases. Heart attacks, fatal strokes, brain hemorrhages and cardiac arrest are now our most common killers. Studies have linked stress with cancer and heart disease for years, but the reality is, stress causes inflammation, and chronic inflammatory response is being linked to almost every illness known to man – obesity, autoimmune disorders like AIDS, fibromyalgia and chronic fatigue syndrome, diabetes, Alzheimer’s, arthritis, etc. It is imperative we to learn how to RELAX! It is definitely a lost art we need to reclaim! Do you even remember the last time you were able to get 8 FULL hours of sleep EVERY single night? Stress is a natural response reaction to internal and external conditions, elevating alertness and our immune system response. A little stress is good, but prolonged stress leads to fatigue, lack of sleep and irritability, damages personal relationships and creates long-term health issues. 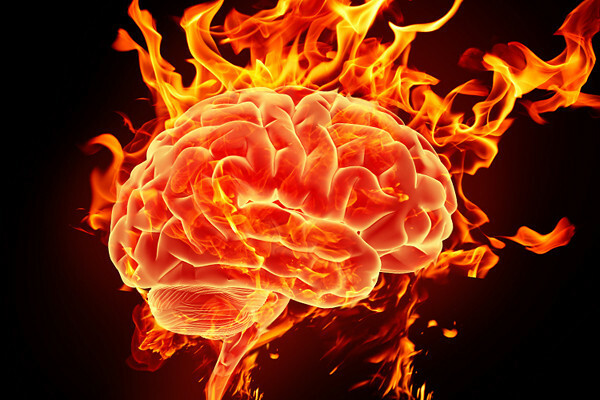 Our brains cannot survive this onslaught of stress and inflammation unscathed. Heightened, prolonged levels of cortisol in our bloodstream can be fatal! Cortisol is called the “stress hormone”, secreted by the adrenal glands in high levels in response to stress. Small doses of cortisol are good – giving us bursts of energy to survive our “fight or flight” response. Our bodies were designed to relax and rest after a stressful event, allowing cortisol levels to drop and return to normal. Unfortunately, in our always-on-the-go lifestyle today, we do not take the time to slow down and recover. Instead we throw ourselves into a state of chronic stress. Prolonged, heightened levels of cortisol in our bloodstream have very negative effects – impairing mental performance, suppressing thyroid function, upsetting blood sugar balance, raises blood pressure, increases abdominal fat causing a plethora of other issues, and lowering immunity and inflammatory response. Triple Your Weight Loss in 2013! You can burn fat 24 hours a day, 7 days a week. If you are having trouble losing weight, it’s likely due to a clogged liver and unbalanced blood sugars. It’s also very likely stress and out of control cortisol levels are keeping you from being a fat-burning furnace. We have a cutting edge, weight-loss and fat-burning Trio we believe will actually triple your capacity to achieve your optimum weight and undo all that Holiday over-eating and sugar indulging. Our Triple Threat Trio helps your body become a fat-burning furnace – revving your metabolism, balancing blood sugars, lowering cortisol levels, cleansing your liver, detoxifying your blood – generating rapid, and most importantly, sustained weight loss. Read on to learn how to burn fat 24/7 – tripling your weight loss capacity! Our Triple Threat Trio is your ticket to reaching your goal weight once and for all, and losing those unwanted pounds. 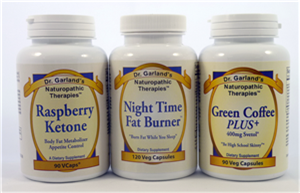 Night Time Fat Burner, Green Coffee PLUS+ and Raspberry Ketone, are the Triple Threat Trio, delivering the fastest, most efficient weight loss combination available. The Trio effectively blocks starch absorption, enhances fat burning and promotes lean muscle development. The First Step to Losing Weight is to Unclog Your Liver! Yes, you really can burn fat constantly, but not if your poor, run-down liver is clogged up with junk. Your liver is home to industrial-strength workers called hepatocytes. Hepatocytes provide effective communication within the liver, cleansing the blood of waste by-products, processing proteins, fats and carbohydrates, synthesizing cholesterol and lipids, and much more. Diet, stress and medications put up walls inside the liver, preventing the hepatocytes from communicating effectively! If I was your liver, I’d cry “Uncle” and give up under this enormous work load! The first place we start with each of our cancer patients is detoxifying the liver, cleansing the blood and boosting immune system response. Why not do the same thing for weight loss? In most cases, stress is the root cause of death; illnesses are just the wrap up. Stress Kills. If it isn’t killing you now, just wait, it will. Studies have linked stress with cancer and heart disease for years, but the reality is, stress causes inflammation, and chronic inflammatory response is being linked to almost every illness known to man – obesity, autoimmune disorders like AIDS, fibromyalgia and chronic fatigue syndrome, diabetes, Alzheimer’s, arthritis, as well as most other chronic disorders. Stress is a natural response of our bodies to react to internal and external toxins. Our bodies go into “fight or flight” response and our immune system shifts into battle mode, trying desperately to adapt. Eventually our immune system becomes overwhelmed and wears out, no longer able to fight. Silently, inflammation burns us alive from the inside out. As usual, Mother Nature has the solution to slow down and even put out the inflammation once and for all. Read on, as we believe we have found your Inflammation Salvation! Cortisol is called the “stress hormone”, secreted by the adrenal glands in high levels in response to stress. Small doses of cortisol are good – giving us bursts of energy to survive our “fight or flight” response. Cortisol heightens memory function, increases immunity, lowers sensitivity to pain, regulates blood pressure and helps our bodies maintain balance. On June 15th, 2012, two hundred feet in the air above the roaring waters of Horseshoe Falls, the largest of Niagara Falls, daredevil Nik Wallenda walked 1,500 feet across on a 2 inch wide, tightrope. His feat was historic. 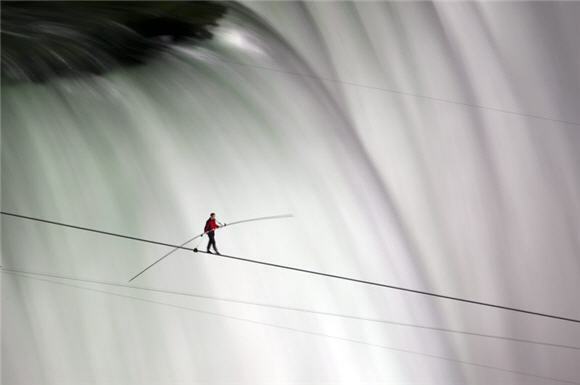 No one has ever crossed Niagara Falls before on a highwire. 33 year old Wallenda endured blinding mists and gusting winds from the powerful Falls below to cross in just 25 minutes. Looking down from 200 feet above the Falls, it’s impossible to imagine even the hint of peace and relaxation! Walking over Niagara Falls is the opposite of peaceful! Think a second about your own life on a wire – commuting, your job, kid’s activities, family crisis, personal appointments – how often life feels like we are constantly on a wire walking across Niagara Falls, with the waters below roaring and threatening to pull us under. Can you imagine the storms of life coming at us with hurricane force winds – and then feeling relaxed and at peace? Remember our philosophy of Body as Doctor? Your body knows what it needs and if you allow it to, it will naturally achieve “total balance” in a way that nothing else can. Ancient Chinese herbalism teaches us of the Three Treasures, the essential energies that sustain human life. Jing is like the base of a candle, what embodies and makes you who you are. Qi (or Chi) is like the flame of the candle that burns, moving you throughout each day. Shen is like the light from the candle; it is the Spirit and Light you share with the world. Most of us run on Qi energy, always on the go at full-tilt. When we run out of fuel, we reach for another cup of coffee, soda or candy bar to power through until we collapse at night. Burning your “Chi” is like burning kindling instead of firewood. Kindling burns hot and fast and is gone before you know it. If you have ever suffered burnout, you know firsthand what I’m talking about. Last night we hosted a teleconference with Greg Ashby, Certified Holistic Health Counselor on our team, as he revealed his theory of how invisible stress prevents weight loss, creates nagging pain and leaves us tired and exhausted all the time. Most importantly Greg shared his insights into how to reverse all of these conditions by “turning on” your Metabolic Sparkplug. Today’s article is written by Greg and a summary of what we discussed on the call. If you missed the teleconference, pour yourself a cup of hot Tulsi tea, (you’ll learn more about this “Queen of Herbs” on the call) and find a comfy chair. Dr Bach, who created the famous Bach Flower Remedies also said that all disease had an emotional foundation and until this was resolved, no true healing could occur. This approach would appear to hold more promise of a “cure” than anything medicine has given us to date. Tomorrow when you get up, turn on your Metabolic Sparkplug within you and reignite your natural fat burning capability. During the early years of human evolution, in order to survive, humans developed a “fight or flight” response that boosted adrenaline and blood sugar absorption to rapidly deliver energy, while at the same time shutting down non-essential functions like digestion and immune response. Scientists have named this response-substance Cortisol and while we no longer fear for our lives from lions and tigers, stress from our always-on-the-go lifestyle generates the same Cortisol-raising response.